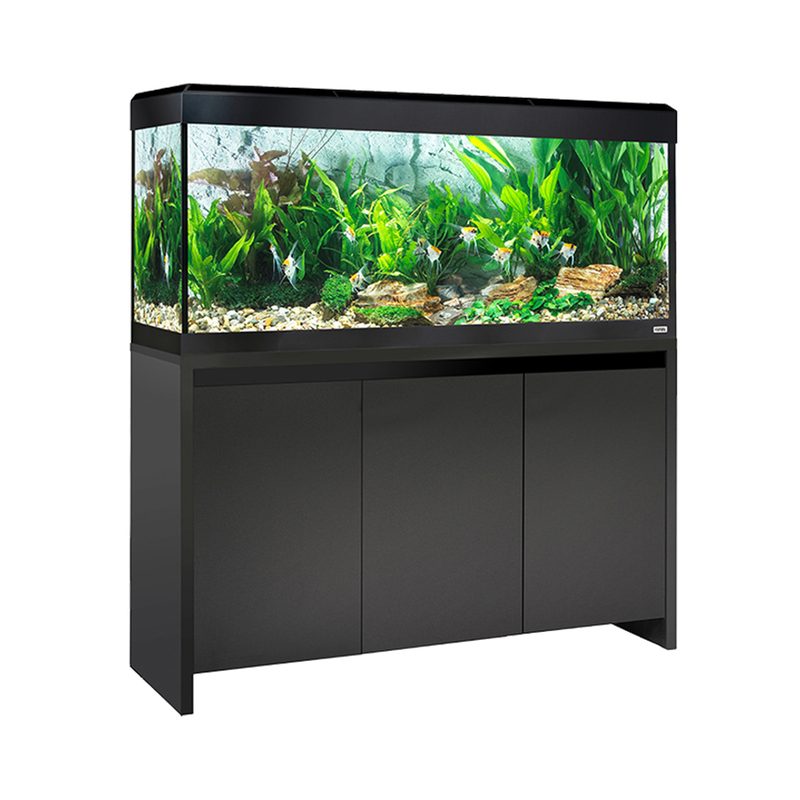 With clean lines and a contemporary design, the popular ROMA aquarium series offers beautiful aesthetics and functionality for today’s modern fish keeper. They now feature energy-efficient LED lighting, including a bright daylight spectrum to help support plant growth and enhance fish colors. The line also comes equipped with a powerful filter and reliable heater. All Roma aquariums have a matching cabinet. These coordinating stands are available in 3 stunning colors to compliment any décor, and offer a space-saving design with ample storage to hide accessories. An internal shelf provides plenty of space to hold a canister filter, while soft-close doors minimize vibrations and reduce stress to your fish. 90 L, 125 L, 200 L and 240 L.
Depending on the model size you choose, ROMA aquariums come equipped with 7.5 – 14.5 W LED lighting, featuring a bright daylight spectrum to help support plant growth and enhance fish colors to truly transform your aquarium. ROMA aquariums include a premium Italian-made Fluval M series heater. Featuring an ultra-slim profile, M series is highlighted by its reflective borosilicate glass tube, which allows it to blend in seamlessly with its aquatic surroundings. Within the tube itself you’ll find a computer-calibrated thermostat, which undergoes a 16-point quality assurance program for superior temperature precision. All Fluval ROMA aquariums include a powerful Fluval filter. As an additional lighting option for ROMA, the Fluval Aquasky offers endless color blends, pairing super bright white LEDs with tri-colored LEDs (red, blue, and green). This powerful combination provides an adjustable light spectrum, which can replicate several natural environments and create stunning visual effects such as cloud cover, fading lunar, storm and lightning. (L x W x H) 47 x 16 x 22"
(L x W x H) 47 x 16 x 28"